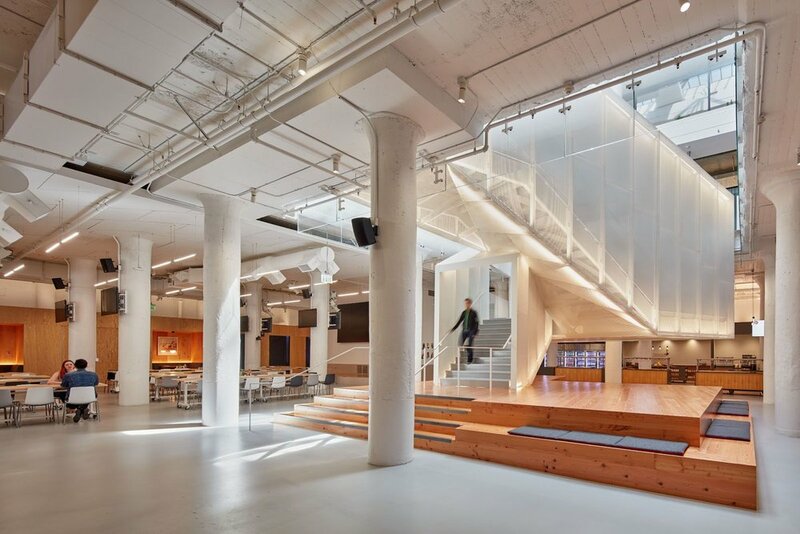 Pinterest's new four-story headquarters in San Francisco's SoMa neighborhood embraces their company culture of "Productive Play" in a thoughtful, refined way. 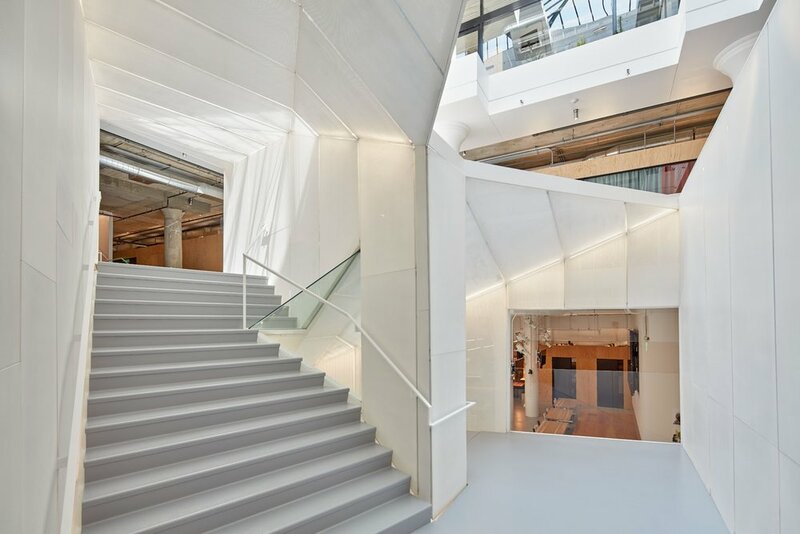 An existing atrium was expanded to the ground floor and now highlights a sculptural staircase connecting all levels of the building. 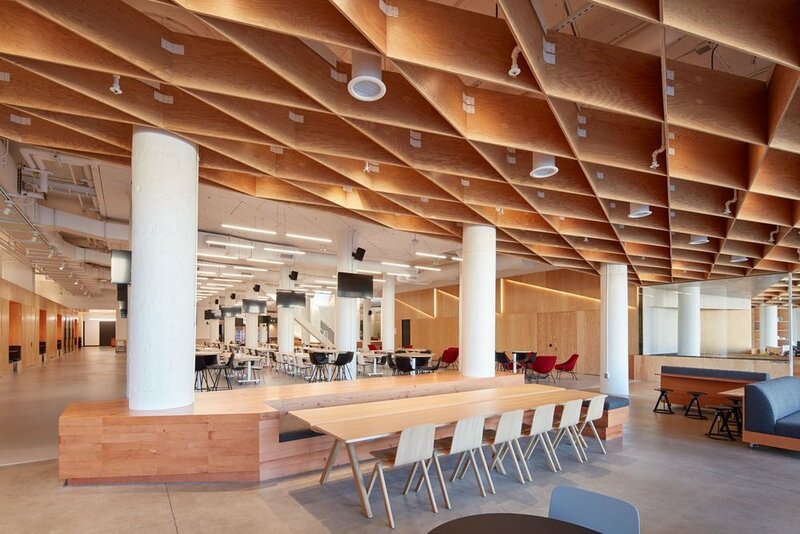 Individual workspaces and social areas co-mingle, culminating in a dining hall that doubles as a large-scale meeting space. Other highlights of the project program include a workshop, training rooms, and a full-service kitchen.